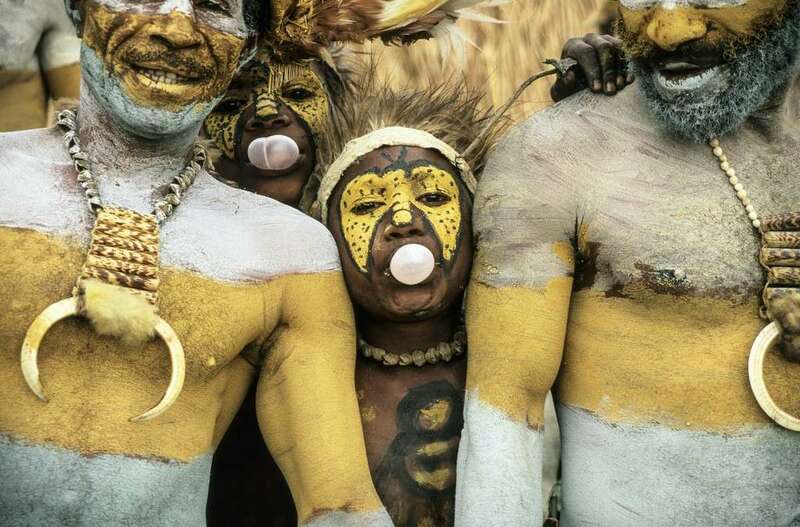 I am often asked if I gave the gum to these boys from the highlands of Papua New Guinea. The answer is no. They were participating in the Mount Hagen highlands Sing Sing, a festival that encourages people to compete for the most culturally intact tribe. Somehow they got their hands on some bubblegum and delighted in surprising me with bubbles.